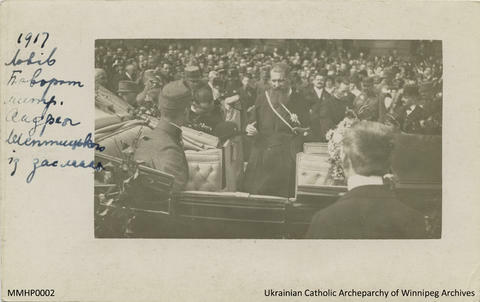 Photo postcard of Metropolitan Andrei Sheptytskyj entering a convertible where a military figure is seated, Lviv, Ukraine, September 1, 1917. A large crowd, including other military figures, are behind them. 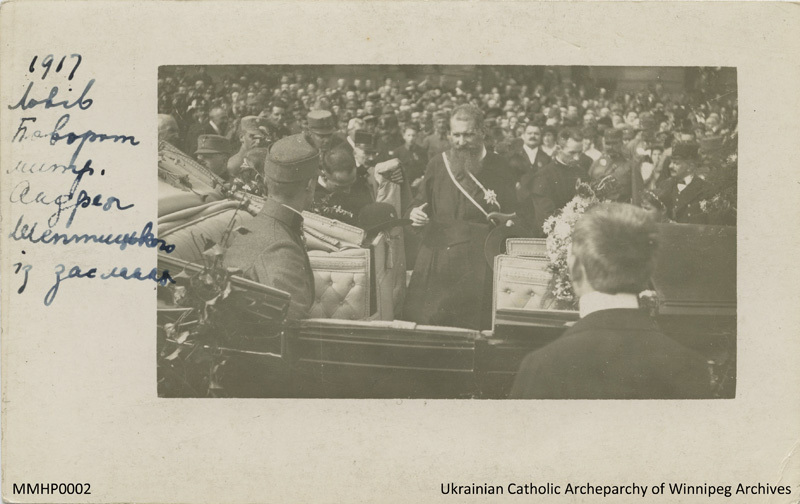 Hand-written description in Ukrainian on the left face of photo. Hand-written date on the back, indelible pencil.